Join us for a Business Connections Breakfast program featuring two whiz kid entrepreneurs who are having big success with their big ideas. What were you doing when you graduated from high school? It probably wasn't running your own small business with a product you created and are marketing through a reputable online retailer. That's the story of Daniel Dylina, founder of Titan Tactical Innovations (TTI) and inventor of the Elastic Tourniquet Holder (ETH), presently being marketed to military and law enforcement personnel. The ETH, a specially designed elastic sheath that attaches with velcro to the side of a tactical vest, provides an innovative, out of the way storage solution for this life-saving device. The TTI business plan was developed through coursework at Riverpoint Academy in the Mead School District. Attending Mead High School his freshman through junior years and Riverpoint Academy his senior year, he is currently devoting this year to expand sales of the ETH and developing new products that solve real world problems through thoughtful innovation, quality materials and functionality. From Post Falls, Idaho, this creator of the Ability App, is a 13 year old who loves helping people and is developing an app to help people with disabilities and their caregivers navigate public spaces and find safe, reliable services and employment opportunities. 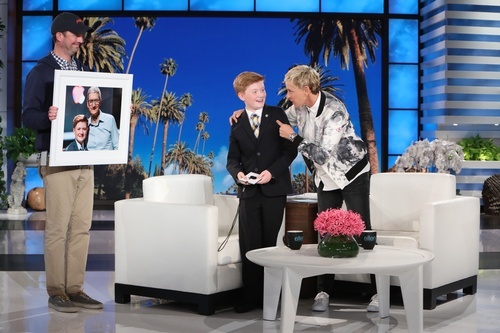 Winning state, national and international competitions, his success eventually led him to be featured on The Ellen DeGeneres Show. His presentation is entitled, "Young App Inventor's Journey/Tips to Make Your Business More Inclusive and Accessible." Join us to hear about these young entrepreneurs journeys. Scott Oakshott, Director of Spokane Valley Tech, will lead a Q & A session with them afterwards.